This barefoot girl is completely absorbed in her book as she reclines on a bench. 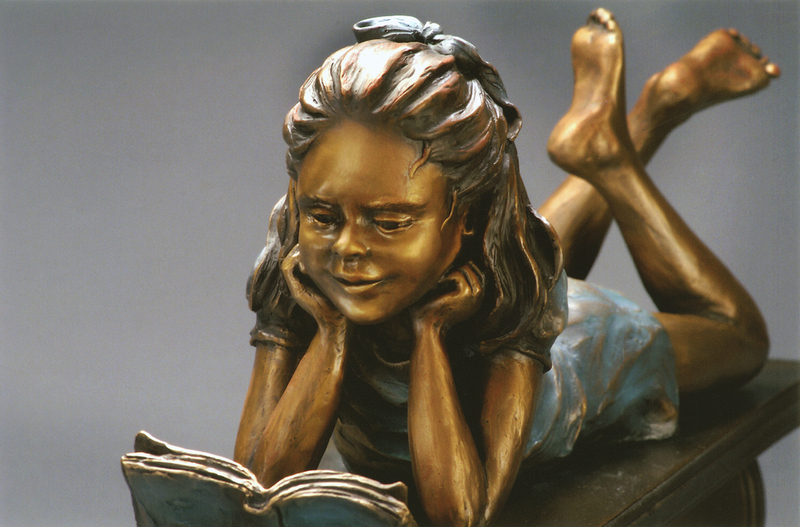 This sculpture is a small version of the life-size "Story Time for One". This barefoot girl is completely absorbed in her book as she reclines on a bench. It is truly a picture of a moment of Summer delight.